Caitlin specializes in writing and English Language Arts instruction for students in grades 6-12, as well as undergraduate, graduate and doctoral students. She has tutored for 10 years. She prepares students throughout the entire process for private school and college admissions (identifying criteria, applications, interview coaching, and selecting the right school). She has served as an English tutor and grammar consultant for both native and non-native speakers, with an emphasis on writing skills, including experience working with Chinese students and Hebrew Language study. She provides college students with English Composition support, including essay writing, organizing large projects, proofreading, and editing. Additionally, she tutors students in German. 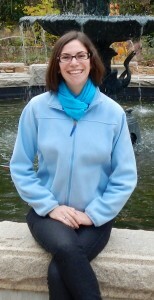 She is experienced in working with students on Executive Functioning Skill support. She is highly experienced in guiding students through the admission essay process.